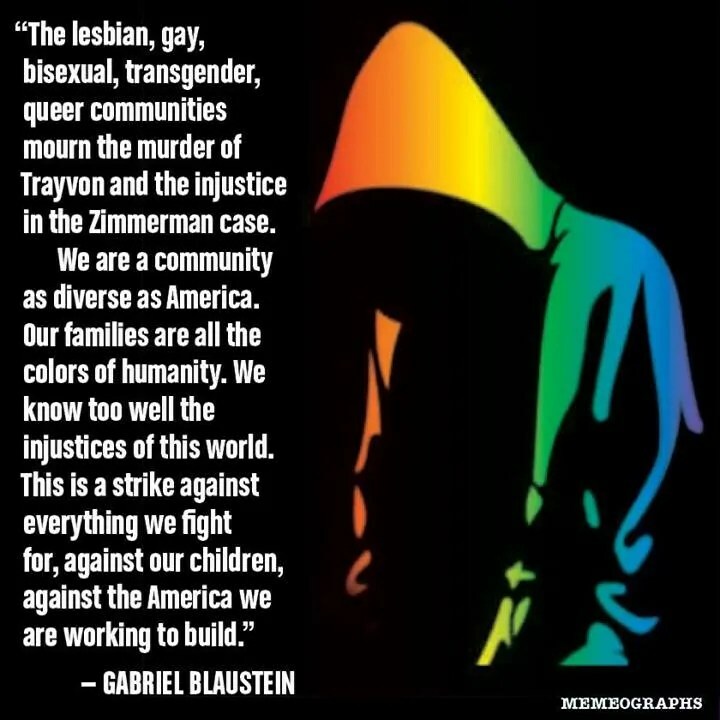 Trayvon Martin « Eric Anthony Grollman, Ph.D.
On February 26th, 2012, around 7pm, Trayvon Martin, a 17-year-old Black man, was shot and killed by George Zimmerman, the white captain of the neighborhood watch where Martin’s father lived. Martin was unarmed, carrying only the bag of Skittles and an iced tea that he purchased when he briefly left his father’s house. 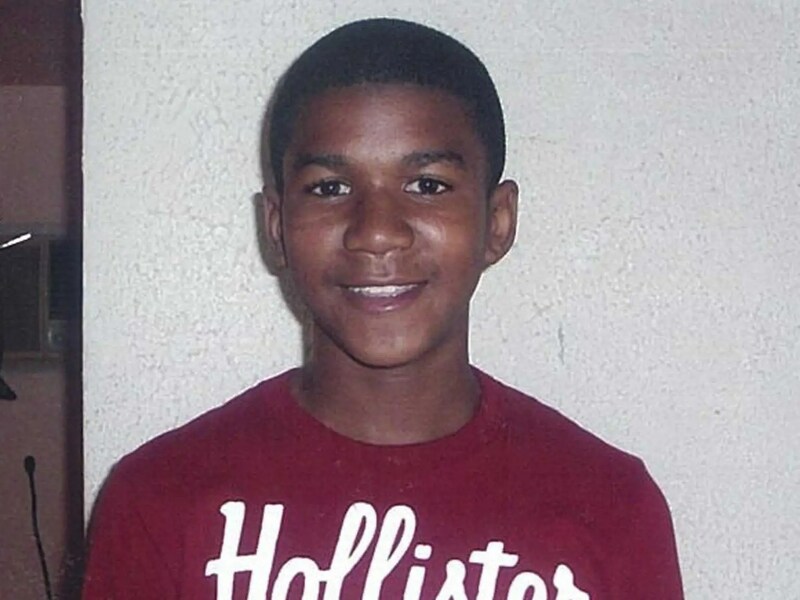 Zimmerman, suspicious of Martin’s presence in the gated Sanford, Florida neighborhood, called 911 about Martin. He was told by the 911 operator not to interact with Martin in any way. Zimmerman followed him anyway, getting into an altercation with Martin when he questioned why Zimmerman was following him in his SUV truck. By the end of the incident, Martin was face-down in the grass, dead, just 70 feet from his father’s house. Zimmerman currently walks a free man proclaiming the incident to be self-defense, thus justifying the murder — an excuse that, at least on the surface, is legal under Florida self-defense laws. However, many are calling for Zimmerman’s arrest for the murder, pointing to the role of racist stereotypes that can play out under these expansive self-defense laws. [S]ociological research continues to show that blacks and Latinos are more likely to be disciplined in school and stopped by the police. While some may anecdotally argue that black kids are badder than white kids, studies show a more pressing problem — teachers and police officers monitor, profile and police black and Latino youth and neighborhoods more than white ones. Figure 6 from Pager, Devah. 2003. “The Mark of a Criminal Record.” American Journal of Sociology 108: 937-75. So, in the event that there is any question as to why it matters that racist stereotypes still exist, the unjustified murder of Trayvon Martin, the racial discrimination in hiring, among other outcomes that constrain the livelihood, success, health, and well-being of Black people is your answer. People’s beliefs, including prejudice, shape their behaviors. This might even explain the consistent hostility toward President Barack Obama — criticism that has, at times, seemed greater than is warranted for his (perceived) failings. How do Black people navigate the stereotypes in everyday life they face — those assumptions that may lead to limited opportunities for work, unfair arrest or hostile treatment by the police, violence, unfair treatment in public service, and so forth? These stereotypes range from the view of young Black men as criminals, young Black women as sexually promiscuous (“jezebels“), older Black women as comforting “mammies,” and so forth. Dr. Ray, likely expressing the concern of many Black people, spoke frankly about these concerns for his children on The Young Turks. For some Black folks, hypervigilance is the product of living with such (racist) realities. One must constantly be alert and self-aware, ensuring that one is safe and avoiding fulfilling whites’ stereotypes about Black people. Watch how you speak, dress this way, avoid these areas at these times, sit like this, etc. Setting aside the debates between assimilating to white norms and challenging them momentarily, these are real matters to consider given the concerns for one’s safety and well-being. How does one’s prejudice, even if implicit, translate into the death of an innocent, unarmed 17-year-old Black man? Without attempting to assess the racial attitudes of Zimmerman, especially given his history of criminal behavior, we can at least talk about how racist attitudes are allowed to become racist behaviors. Today, with civil rights and non-discrimination laws, discrimination in employment, housing, public accommodations, health care, and so forth, is illegal; hate crime laws sometimes tack on harsher sentences in the case of bias-motivated violence and property damage. Of course, more minor, everyday forms of discrimination are not illegal, for they are not seen as damaging to marginalized groups’ well-being, despite evidence that suggests otherwise when these events accumulate. A “reasonableness” standard is important in evaluating a self-defense argument. The key, though, is reasonable to whom? In many jurisdictions, deadly force is only justified if a reasonable person in the same circumstances would believe it was necessary to prevent death or great bodily harm. What’s interesting — and troubling — about the Florida statute is that it doesn’t include any duty to retreat (instead allowing force to be met with force), and it doesn’t require that a “reasonable person” would find the circumstances potentially life-threatening. It requires that the individual who used deadly forced “reasonably believed” that the use of force was necessary. It’s a small distinction, but an important one (and it’s Bernie Goetz all over again). A “reasonable person” would not think that a young black man walking down the street was a threat to his life. But an individual with a particular set of experiences and views might be able to convince a jury that he reasonably believed that. In a racist society, you can find a racist person who “reasonably believes” that the existence of a black kid is dangerous, and that a confrontation with a black kid — even if the white adult started it — is life-threatening. One point that has come up time and again in my dissertation research (on the health consequences of discrimination) is that when laws and policies are less standardized and rigid, there is more room for people in power (e.g., managers, supervisors) to use their own discretion. This may mean that their biases may sneak in. For example, in an audit study comparing hiring practices of gay male compared to heterosexual male potential employees, sociologist Dr. Andras Tilcsik found preference given to heterosexual men because they are assumed to be more decisive, aggressive, and ambitious than gay men. However, when policies and laws are more standardized, leaving little room for personal discretion, there tend to be fewer reports and complaints of discrimination. 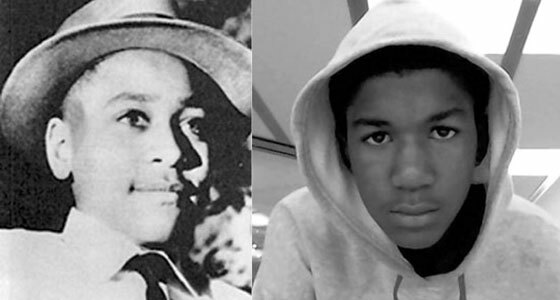 Unfortunately, Trayvon Martin is dead. So, what can we do now? 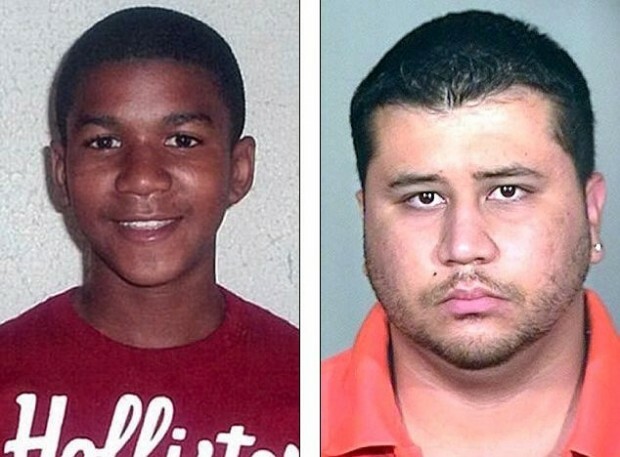 You may consider signing the Change.org petition to arrest and try George Zimmerman for murdering Trayvon Martin. Socially, when individuals meet a “good” black man, they can be seen as the rule and not the exception. 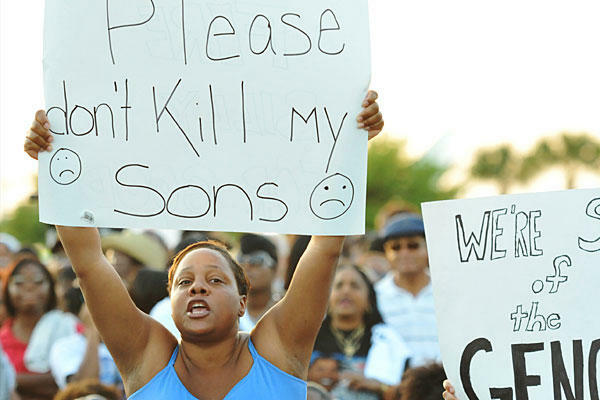 Most black men are not criminals or untrustworthy; they are law-abiding citizens. People need to start recognizing social class cues that signal professionalism and decency instead of ubiquitously categorizing black men as dangerous. It is high time that individuals see not just a black man, but a man who could be a doctor, lawyer, neighbor or even the president. These changes in individuals’ perceptions will a go long way to solve the criminalization of nonwhite bodies. Also, we can challenge others’ assumptions and stereotypes. We can assess whether the expansion of self-defense laws may lead to greater protection or greater harm. In particular, we should ask whether these laws open the door for greater violence against marginalized groups. We should ensure that the media paints a holistic picture of Black people in America, rather than promoting the usual stereotypes of Blacks as criminals, stupid, lazy, or, on the “positive” side, only good at entertaining. Rather than remaining complacent, we can continue to advance discrimination and hate crime laws to protect marginalized groups from differential treatment, especially in this era of covert prejudice. We must begin to talk more frankly about race, rather than skirting these conversations in this so-called post-racial era. President Barack Obama’s presidency should be seen as re-sparking the conversation on race and racism, rather than ending it.